February is the season of love, not just with a significant other, but loving yourself! Make a commitment to your future by pursuing your dream career. It’s important to attend a top-quality beauty school that will provide you with the knowledge required to adequately prepare for your licensing exam. Nuvani Institute offers a variety of Cosmetology Programs held in a state-of-the-art facility. It’s time to Commit to Your Future! By starting a career in cosmetology, you would be committing to an industry that is projected to grow. In fact, the industry is projected to grow faster than the average for all occupations. The population continues to increase its demand for hair care services. It’s important to follow your dreams, and a bonus if the career job opportunities you’re exploring coincides with your passions. Depending on which program you choose to pursue, the time and energy you would be dedicating to your education can be intimidating. It’s hard to picture what your future would look like after completing one of our training programs and taking your licensing exams. The option for more job opportunities is guaranteed: especially if your ultimate goal is to be self-employed in the future. Commit now to receive an even bigger pay off in the long run! The admissions process at Nuvani Institute is simple and straightforward. We have a few requirements you must meet to enroll, and in a matter of time you could be on your way to your new career. New classes will be starting at Nuvani Institute on February 22, 2018. 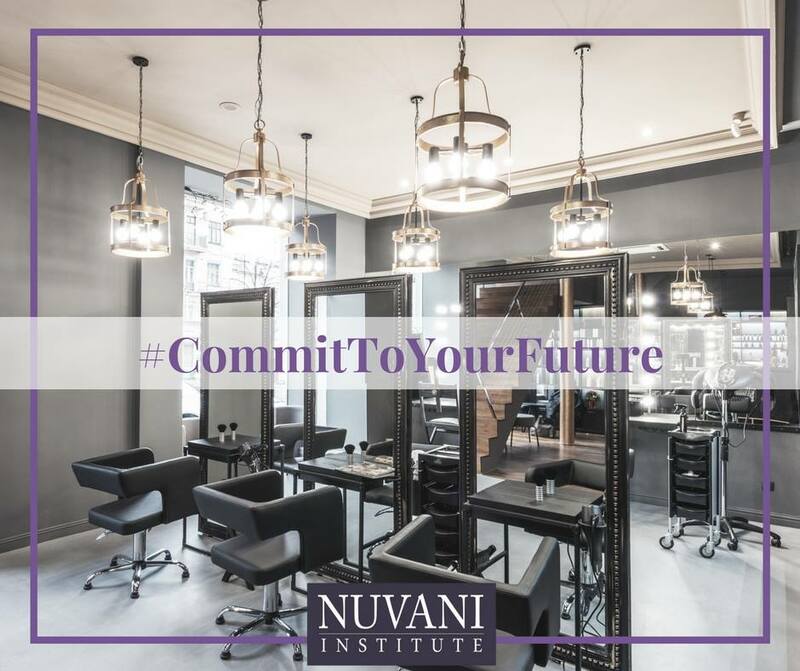 Commit to Your Future by starting the journey to your dream career at Nuvani Institute.